I am not a huge fan of New Year’s resolutions. I’d like to think I make resolutions for change when I recognize the need to change, instead of waiting for January 1. But I am a big fan of New Year’s Day, specifically the opportunity to see that a brand new year is coming up, and with a little effort and a lot of luck it is bound to be better than the year before. I was able to use my New Year’s optimism today to provide HOPE for a friend. Ann and I are “exercise buddies”, you know, the person you work out next to in class, the one whom you probably would not recognize in “civilian” clothes and makeup if you saw her out on the street. Ann has been suffering with knee pain for many months. She had been told that a knee replacement was the only option left. But she just hates the idea of all the recovery time a knee replacement requires. So, over the months she has tried some more therapies, has done some more exercises, and gotten another opinion, all in the hope that she could avoid surgery. Alas, it was not to be. She knows now that knee replacement is inevitable. She told me today that the surgery is January 2. 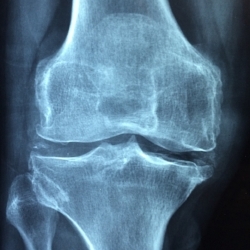 And I said, “Just think, no more knee worries in 2019!” Sure, the recovery could be slow and painful, but barring any unforeseen circumstances, her knee will be done, along with all the research, worrying, therapies, and appointments. She can go about her business in 2019 without worrying about that darn joint. She actually sighed and smiled when I said that. It was as if she could picture a pain-free, hassle-free 2019. She said “Thank you!” I knew that I had given her HOPE.